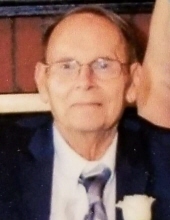 Robert H. Sixbery, a resident of Brighton, died surrounded by his family on October 31, 2018 after many years of heart trouble. He was 83 years old. Bob is survived by his beloved wife of 58 years, Donna; daughter, Michele Sixbery; daughter, Shari Sixbery; daughter, Cindy Johnson and her children, Joseph, Jamie, Jessica (Justin) and their daughter, Sophia; daughter, Lori Sixbery and her son, Jacob; son, Robert (Kerry) Sixbery and their children, Kira, Lena, Robert and Claire; son, Richard (Kristi) Sixbery and their children, Belle and Carter; sister, Mary Alice Maciak; nephew, Tom (Joan) Maciak; niece, Wendy (Jim) Suchyas as well as many dear friends. Brighton, MI, on Monday, November 5, 2018 at 11:00 AM. Friends may visit the church on Monday from 10 AM until the time of the service. Cremation will follow. Memorial contributions may be made in his name to St. Mary Magdalen Church or to the Cardiac Team at Samuel and Jean Frankel Cardiovascular Center: Michigan Medicine Office of Development, Attn: Frankel Cardiovascular Center, 1000 Oakbrook Dr., Suite 100, Ann Arbor, MI 48104. "Email Address" would like to share the life celebration of Robert "Bob" Sixbery. Click on the "link" to go to share a favorite memory or leave a condolence message for the family.